Your solar plexus chakra is the seat of your personal power that fuels your will and inner strength. It’s your inner sun that kickstarts metabolism and controls your energy. Home to your gut feelings, it’s where you can connect with the spirits and access their ageless wisdom. Having a balanced solar plexus chakra is of utmost importance because it’s the balancing point of all the 7 chakras. An inactive solar plexus chakra makes you feel lethargic and less motivated to pursue your goals. On the other hand, if it’s overactive, it makes you jump from one activity to the other, making you more dominant over other people. There are a number of ways to bring balance to your solar plexus chakra. Here are the 3 that turned to be most effective for us. 1. The solar plexus chakra dance. In ancient times, warriors developed a dance that brought balance to their inner energies and enhanced their strength and courage. Dancing the Chakradance is dancing like an ancient warrior who goes with the flow of the music until he feels the fire inside him ignites and fuels his body with energy and strength. The Chakradance is the warrior archetype’s inner journey. The warrior archetype depicts a person who is aware of his own strength and stands up for his own truth. 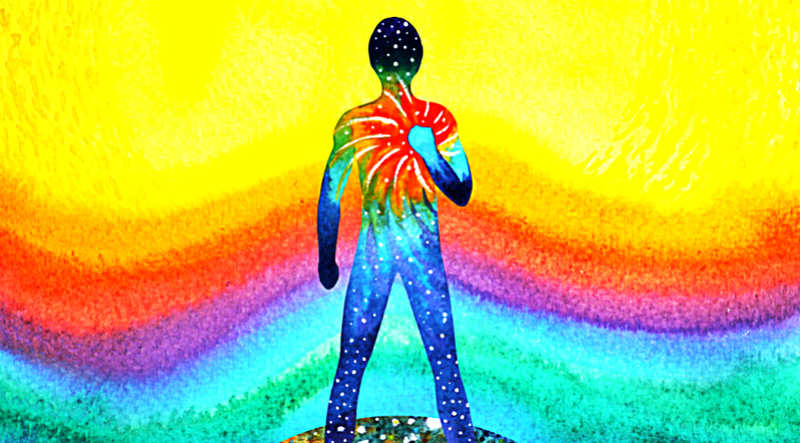 Healthy solar plexus chakra feels exactly how a warrior archetype feels, in the midst of fear and discomfort he still finds the courage to face every obstacle that befalls him. To do this dance you need to play a song that gives you a sense of courage and power. We all have such songs, ones that we feel fearless while we listen to them. Play this song and let the music spark up the flame inside you. The Chakradance encourages a vigorous movement of your legs and arms. When it starts, you only notice the flame. As the music intensifies, the fire increases until you notice the fire within you bursting like flames that feel liberating and powerful. Everything that’s no longer needed slowly dissipates and your body feels being energetically refueled. After the dance you will achieve a clarity of purpose, passion, and an empowered will to tackle your goals. 2. Do something that your idol would respect. We all have idols. These people, imaginary or real, are how we identify our superior ego, how we picture our ideals and values within a character. However, it’s not always wise to meet your idols. That’s why you should look at your idols as inner personal mentors. Ask yourself what would your idol do in a certain situation you feel afraid or uncertain of. Ask yourself what can you do to become a better man, what would your idol respect. Once you know what this thing is, do it. It doesn’t have to be something big. In fact, it should be something as simple as helping someone out without asking anything back. When you do the thing that your idol would be proud of you doing, you will empower your solar plexus chakra and fill it with pride. 3. Face your shame with dignity. We feel shame for a reason. It’s not a bad emotion, it tells us where we fail to exercise our true power so we can see if we make some mistake and make sure we are a good person. If we are not hurting anyone, if we play by the rules of society to a normal degree, and if we follow our heart doing what we want, but we still feel shame, then there is a problem. However, the problem is not in what we do, but rather, it’s how we see ourselves. The problem is within. Most of us feel shame when we follow our heart or when we do something we are passionate about because that’s how we were raised. We were raised to be told what we should do. So, we have a sense of not being good enough to decide for ourselves. We feel unworthy of our own desires. That’s why you need to face your shame with dignity. Inspect what you are ashamed of and face this shame. Ask it what it can teach you. Ask yourself why you feel as not enough to use your personal power, see what you can learn, but tell your shame you are its boss. It told you what you needed to know, but you don’t need it anymore. You are thankful for teaching you, but you also know that this type of shame is created by society, not you. And there is no way you can get better at making decisions and using your personal power if you don’t free yourself to be who you are.